The Quantum complete shower system adds style to any contemporary bathroom with its cool design. Safety features include automatic shut down if cold pressure should suddenly fail and anti-scald thermostatic control. 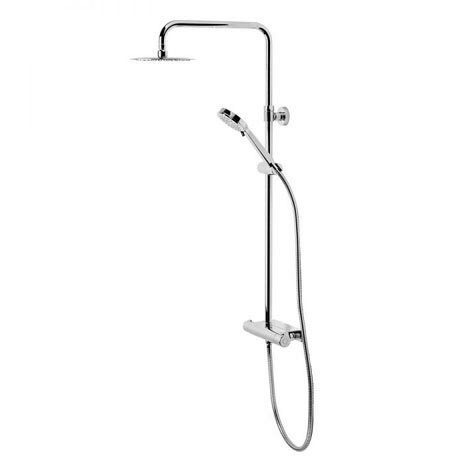 Beautifully finished in chrome, the shower consists of a 200mm fixed head, adjustable riser, multi function handset, PVC easy clean hose and a diverter bar valve with an integrated accessory shelf for shower gels and shampoos and an easy fix kit for quick and easy fitting. Comes with a 10 year guarantee against any manufacturing faults.